My dogs love taking part in holidays and celebrations such as Christmas. The dogs are a part of the family. If the rest of the family is having fun, they want to as well! It's very enjoyable to celebrate special events with pets, but it's also important to be aware of their safety. Holidays involve potential dangers for animals as well as the opportunity for fun. 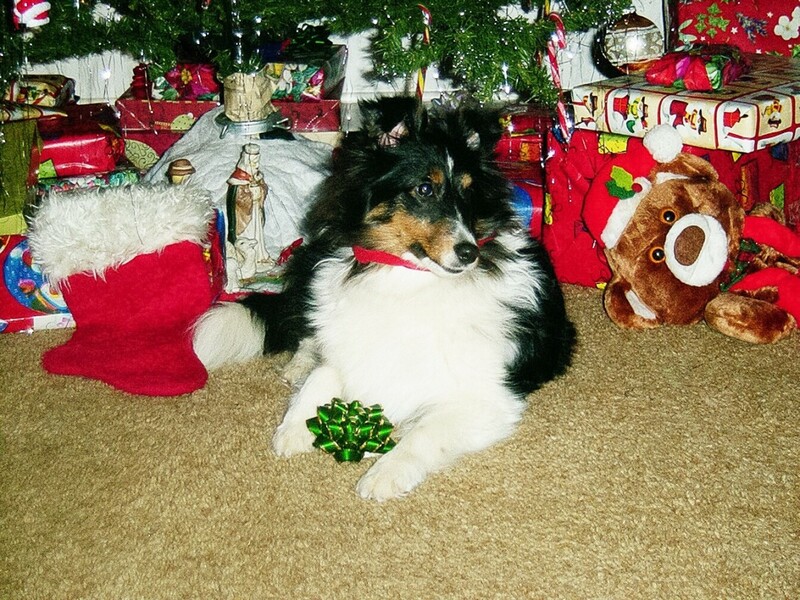 Certain types of decorations are dangerous for pets, so gift wrap, ornaments, and Christmas tree trimmings need to be planned carefully. Some traditional Christmas plants are toxic and shouldn't be brought into a home containing dogs. In addition, some human foods are poisonous for dogs. With careful planning, it's possible for both people and pets to enjoy celebrations. Once a plan is made for safe pet holidays, it can be used at every special event. The plan will enable dogs to participate in the family’s fun and humans to have peace of mind. My dogs' favourite holiday is Christmas. The fun begins when a tree is brought into the house. The dogs are very excited when they smell and see the tree. They know that a Christmas tree means there’s fun ahead. The water bowl of a tree stand should be covered so that a dog can't drink from it. 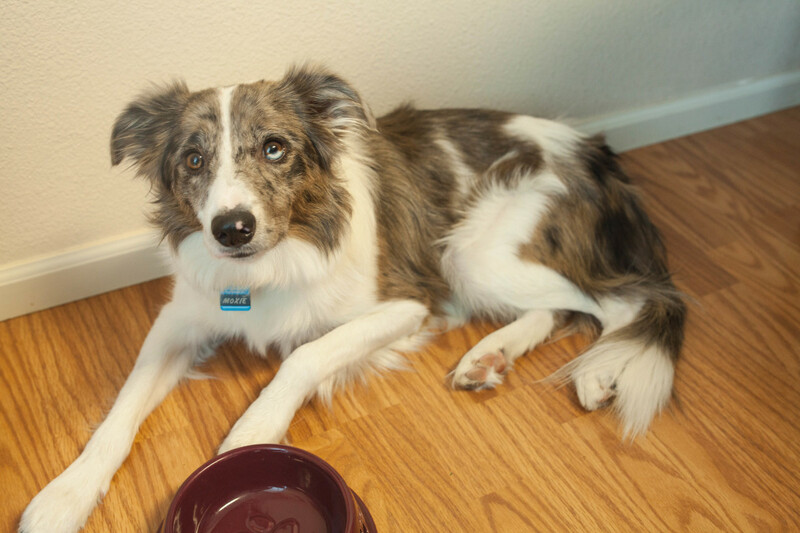 Preservatives added to the water may not be safe for dogs. Fallen needles should be removed frequently in case they're eaten. Their sharp points may injure the digestive tract and their oils may be irritating. If the tree is artificial, it should be monitored for bits of plastic or metal that have broken off the tree. Avoid angel hair, which is made of glass fibre that can cut a dog's digestive tract. Avoid glass ornaments, which may break into sharp pieces if they fall to the ground. 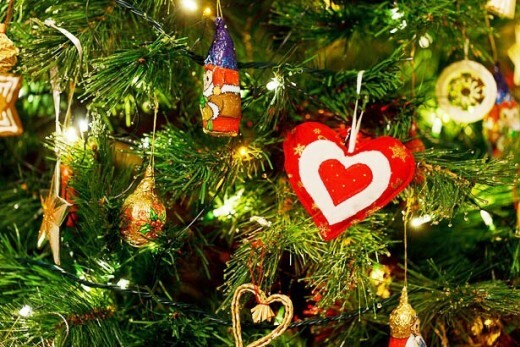 Place any breakable ornament on a high branch where it can't be hit by a dog's wagging tail. Don't place edible decorations on the tree. Investigate the safety of the ingredients in any fake snow that is placed on the tree. Use safe tree lights and be careful with the placement of electrical wires. Don't place lights on the lowest branches of the trees. Consider the placement of the tree in case a curious pet jumps on it and knocks it down. Intestinal obstruction can be a very serious condition in dogs and may even be life threatening. Major abdominal surgery may be required to remove the blockage. It's always wise to keep items that could block the gut out of a dog's reach. Colourful plant displays can look lovely on a table or other surface at Christmas. The displays should be created with plants that are safe for pets, however. The artificial plant decorations that can be bought today can look very realistic, but they should be checked for easily detachable parts that a pet could pull off. It's important to be careful with any Christmas potpourri that is used as a decoration and with any scented oils that are added. Research should be done before creating or buying a potpourri. Some ingredients and oils can be dangerous for pets and should be avoided. Instead of using lighted candles, my family decorates our Christmas table with battery-operated LED candles. These look both natural and attractive. Their light flickers and produces a beautiful effect, just like the light from a real candle. Best of all, they don't have a flame to injure pets or damage the home. 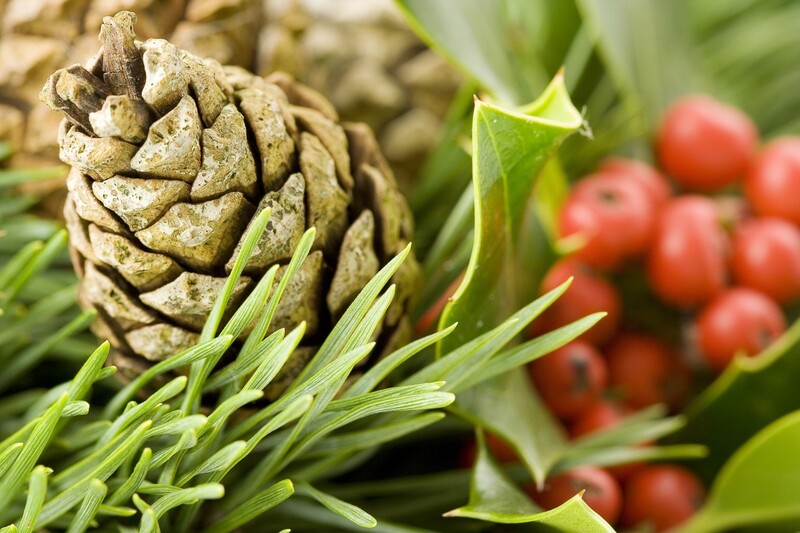 Some plants that are traditionally brought into a home at Christmas time can be toxic or irritating for pets. These plants either need to be kept well out of a dog's reach or avoided altogether. 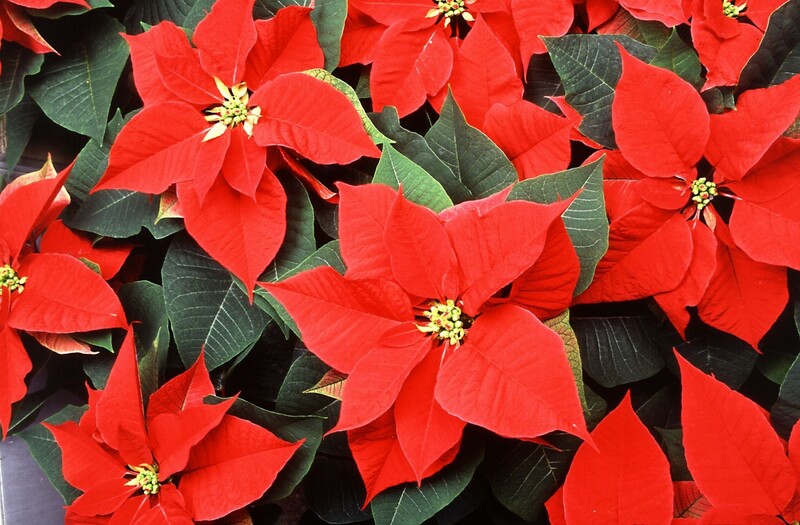 Poinsettias are beautiful plants that are very popular. They are often said to be dangerous for pets, but the current thinking of many pet experts is that they are only mildly toxic for dogs. Holly and mistletoe are far more dangerous. Holly not only contains toxins but can also cause mechanical injury if its spiny leaves are eaten. 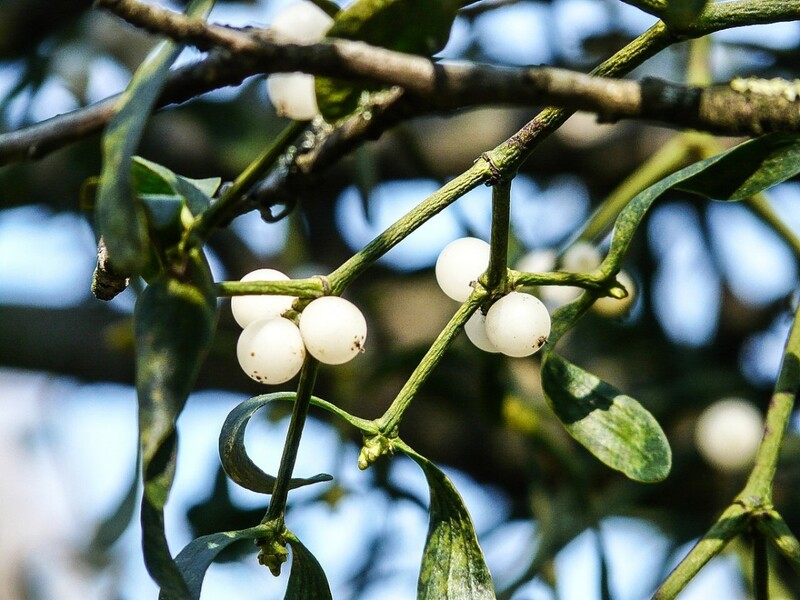 Mistletoe berries are classified as mildly to moderately toxic for dogs. It's important to remember that if a pet eats a large amount of a plant that is classified as only moderately toxic, the effect may be very serious. I enjoy having plants in the house, but I avoid even the mildly toxic ones. I don't want to take any chances with my pets. Even a minor digestive upset will spoil Christmas for them. In addition, the effect of a poisonous plant on dogs can vary, depending on the pet's individual tolerance and the amount eaten. I've got into the habit of putting all food in the refrigerator, a cupboard, or somewhere else out of my dogs' reach whenever I bring it into my home. One of my two dogs has a tendency to raid food if he gets a chance. Anything that is not eaten during a meal or snack goes back into storage if the food has to be left unattended. Christmas Eve is wonderful for my dogs. First, they go for a long walk in one of their favourite off-leash parks. Then they visit pet stores. 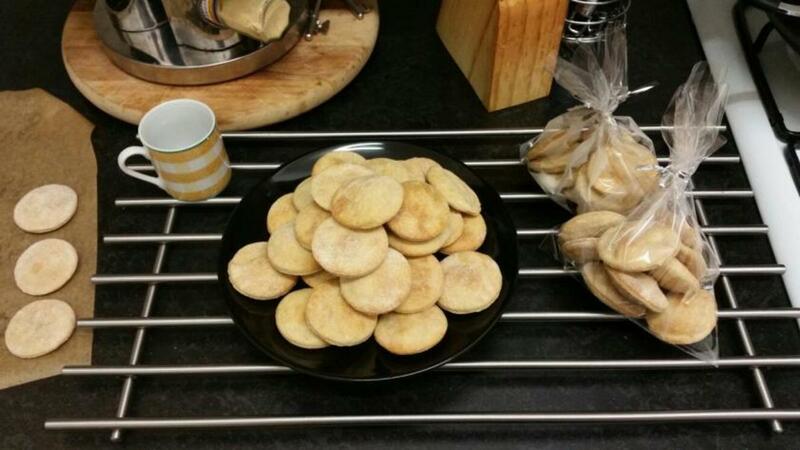 We buy last minute gifts for our pets in the stores and the dogs are given biscuits by the staff. One of the stores that we visit is our local pet bakery. Here we stock up on safe and healthy treats for the holiday. The dogs enjoy eating their Christmas treats while we eat ours. 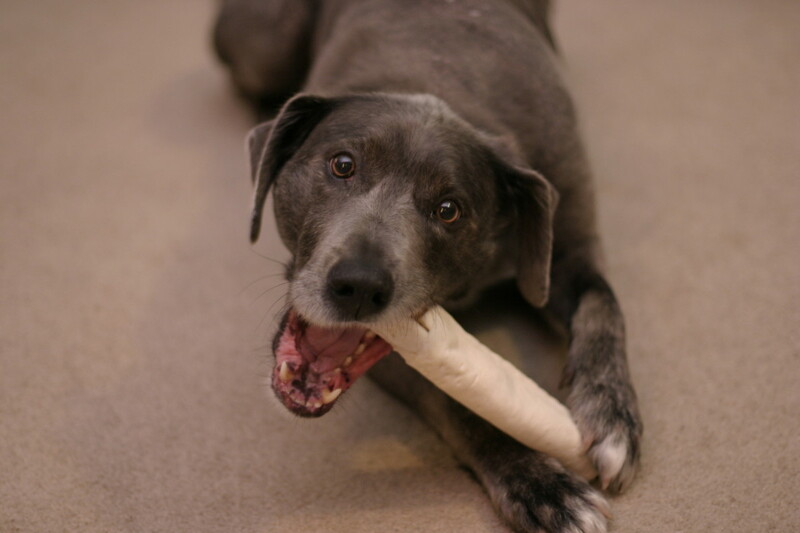 Giving dogs safe treats (in moderation) is a great way to involve them in holiday fun. None of the dog treats contain chocolate, since it's poisonous for dogs. The toxic chemical in chocolate is called theobromine. The chemical can cause nausea, vomiting, diarrhea, and increased urine production. It also stimulates the central nervous system and can increase the rate of the heartbeat or interfere with its rhythm. 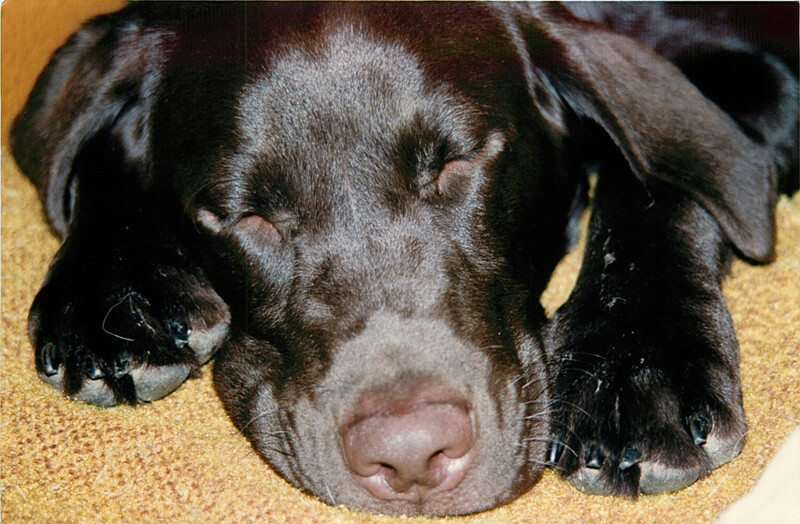 Theobromine takes much longer to break down in a dog's body than in the human body. Chocolate should never be left within a dog's reach. It's more dangerous in some situations than in others, however. 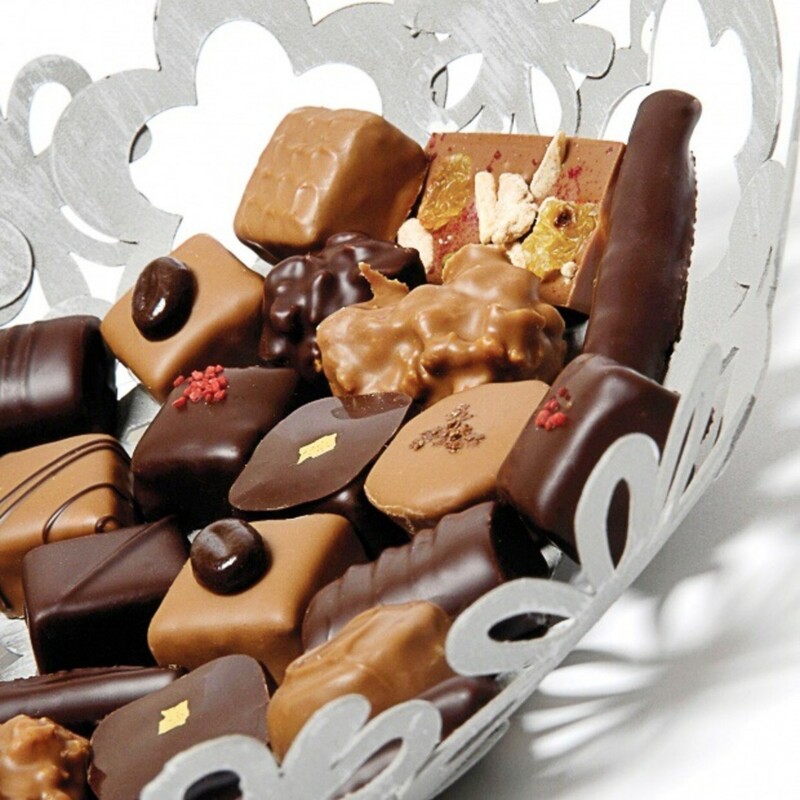 Dark chocolate is more toxic than milk chocolate because it contains more cocoa. The theobromine is located in the cocoa. White chocolate is safe because it contains no cocoa. (Its fat and sugar aren't very healthy for dogs, though.) The amount of chocolate that is eaten, the mass of the dog, and the dog's individual susceptibility to the effects of theobromine all influence the danger of chocolate. For many pet owners, a dog is a family member. Anyone who gets to know these animals discovers that they have a lot in common with humans. It's important to remember that although their internal biology is very similar to ours, it's not identical. Foods that are safe for humans are not always safe for pets. Xylitol is another dangerous substance for pets. It's a sugar substitute that is highly unlikely to be present in pet treats but may be present in human food such as sugarless candy, chewing gum, and baked goods. A new trend is the appearance of xylitol in some brands of peanut butter. This is worrying because many dogs love peanut butter. 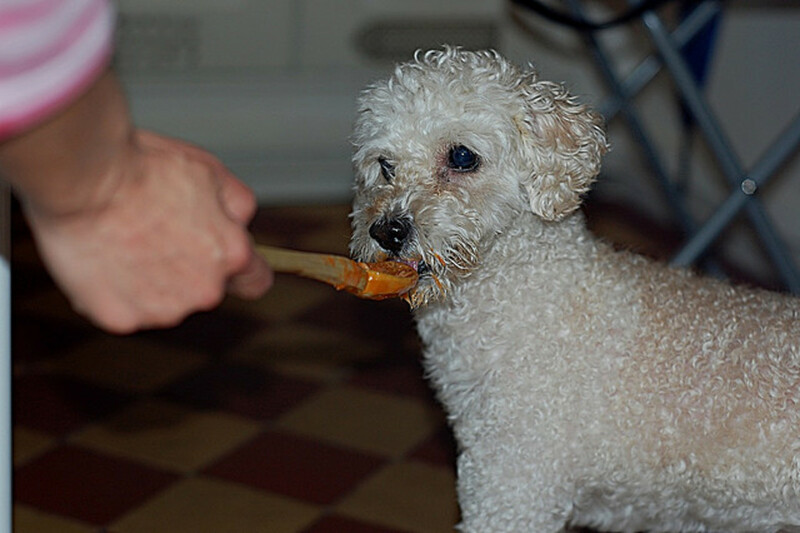 If a dog raids food containing xylitol there can be serious consequences. The substance can cause a dangerous drop in blood sugar in dogs as well as liver damage, seizures, and even death. 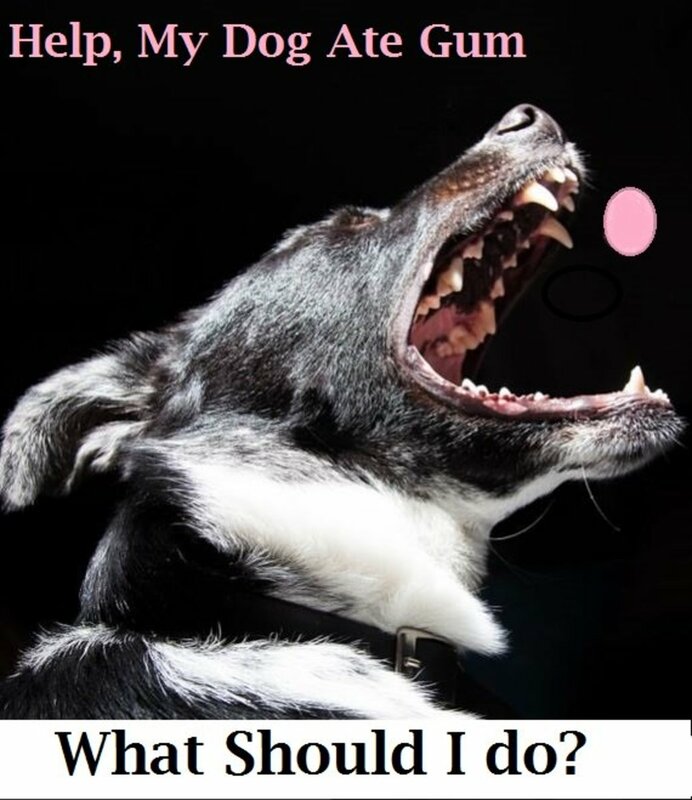 Chewing gum and candies containing xylitol need to be kept out of a pet's reach. A purse left on the floor or sofa or a jacket pocket that can be reached by dogs is not an appropriate place to store a xylitol product. (Even gum without xylitol can be dangerous because it can create an intestinal obstruction.) The ingredient list on a jar of peanut butter should be checked carefully before the product is purchased. Varieties containing xylitol should be avoided. Xylitol may have oral health benefits for humans and is present in some toothpastes and mouthwashes as well as foods. Dog owners need to think very carefully about whether they want it in their homes, however. Any xylitol products that are purchased must always be kept out of a pet's reach. Even a small amount of the chemical is dangerous for dogs. Alcoholic beverages—including Christmas liqueurs—must be kept away from pets. Alcohol is a dangerous poison for dogs. It depresses the activity of the central nervous system and the rate of breathing. It also causes coordination problems and muscle tremors as well as vomiting and diarrhea. Alcohol poisoning can lead to coma and death. Ingestion of macadamia nuts can cause very unpleasant problems in dogs, although the nuts generally aren't deadly. Dogs may develop weakness, muscle tremors, vomiting, and hyperthermia (raised body temperature) after eating macadamias. Raisins and grapes should be kept away from dogs, since the fruit can cause acute kidney failure. Why this happens is unknown. The effects develop six to twelve hours after eating the fruit. Strangely, while raisins and grapes are deadly for some dogs, others seem to be unaffected by them. Since we don't know in advance whether our pets respond to the fruit, it should be kept out of their reach. Onion, chives, and garlic can damage the red blood cells of dogs. They can also cause digestive problems, including nausea, drooling, vomiting, abdominal pain and diarrhea. The seriousness of the effects depend on the amount that is eaten. Dairy products and yeast doughs are potentially harmful for dogs. The animals are unable to make the lactase enzyme needed to break down lactose in dairy foods. Doughs containing yeast may continue to rise within a pet's stomach and may cause a life-threatening condition known as bloat. We don't place gifts under the tree until Christmas morning so that they aren't left unguarded. 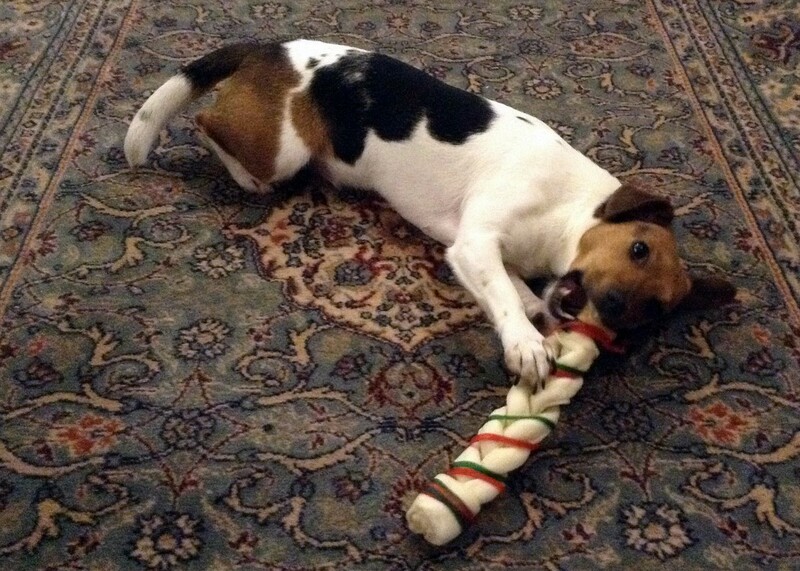 The start of Christmas Day is very exciting for our pets because it's the time when gifts are unwrapped. We spread the gift-giving throughout the day to prolong the enjoyment and to avoid overexcitement arising from too many presents and treats at once. Overexcitement is definitely a potential problem in dogs. We unwrap toys in front of the eager dogs, which is fun for both them and us. We don’t use ribbon or string on any gift packaging, since like tinsel these can block and damage a pet’s digestive tract if they’re eaten. Toys given as gifts should be large enough that they can't be swallowed. Any human gifts and wrapping that might be dangerous should be kept out of a dog's reach. There should be some periods during the day when dogs can calm down and relax with their family. Some suitable moments might be when people are watching a Christmas TV show, listening to festive music, or reading a book given as a gift. Our dogs are given their own small plates of Christmas dinner with no stuffing, sauce, or dessert. After their meal they lie contentedly at our feet while we eat. Well-cooked Christmas or Thanksgiving turkey is safe for dogs, but it should be lean and all bones must be removed. Christmas candy (as well as Valentine's Day, Easter, and Halloween candy) and any other dangerous food should be kept out of a dog's reach. Storing candy in a pet-safe cupboard is a better plan than leaving it on a table where a pet may grab it when their owner isn't watching. Even safe food should be stored safely when it's unattended. Rich holiday food may not be poisonous for pets, but it's not healthy for them. It's helpful for a pet owner to know some first aid in case problems arise during a celebration or at any other time. It's also important to know the address, phone number, and open hours of nearby animal emergency clinics—especially during the Christmas holiday—as well as the route to the clinics. My family posts this information by the telephone for quick access. There may seem to be a lot to think about when considering dog safety during special holidays and festivals. Once a safety routine is established it's easy to remember, though, and should become automatic. Although pet safety should always be kept in mind during celebrations, it's not necessary to spoil the fun of an event by worrying about potential dangers. Animal lovers know that the effort to keep their pets both safe and happy is very worthwhile and can lead to a very enjoyable holiday. Thanks for the comment, Zia. I appreciate your visit. Great article, lots of details to know about here. I never knew what angel hair was, I googled it and pasta food comes up as well as that tree decoration. Cheers. Hi, Purple Perl. Dogs do enjoy family celebrations! Poinsettias aren't considered to be as poisonous as they once were. I don't have one in my home though, even though they are so pretty. My present dogs aren't bothered by firecrackers, but I know that some dogs are very frightened of them. Thanks for the comment and for sharing the information about your dogs. Very informative and one that every pet owner will benefit from. 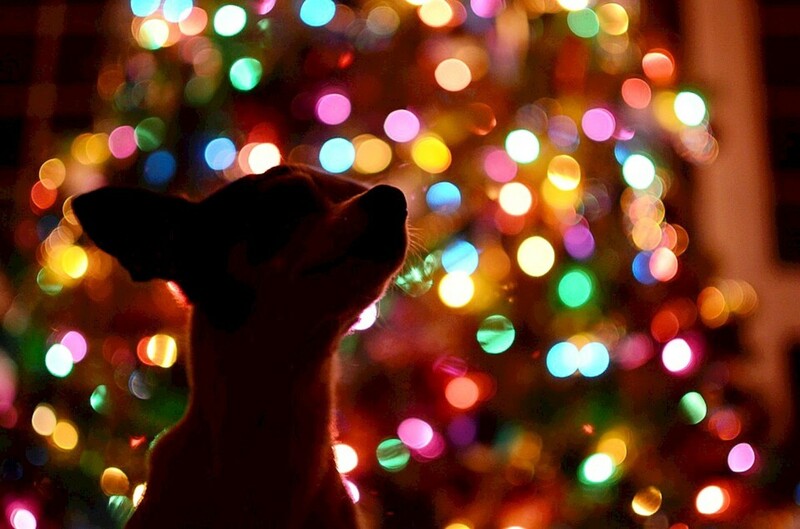 My dogs are fond of Christmas tree and the decorative lights. Both are sleeping by the lighted stars and serial lighting as I write this. I knew about the dangers of chocolate but,not about poinsettia and the plants. Got to remove my poinsettias outdoor in the morning. Diwali is a festival of lights in India, and fire crackers are part of celebrations. 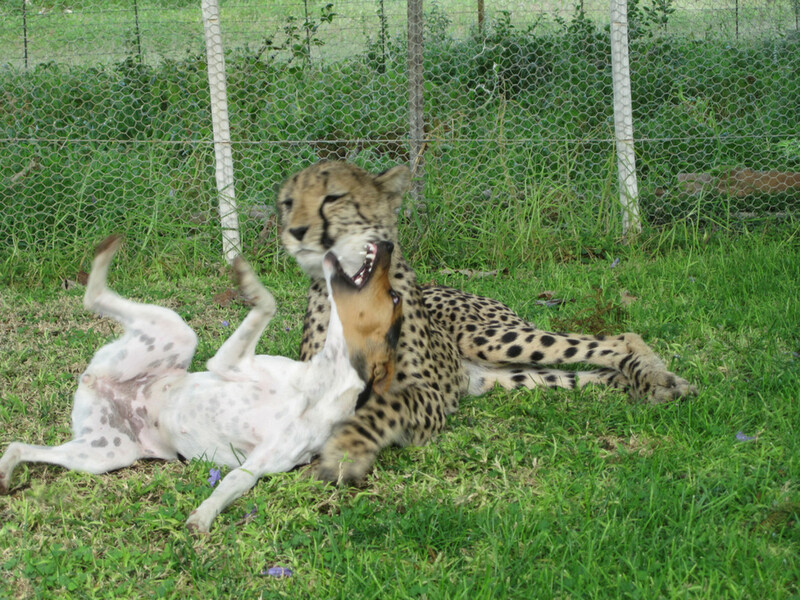 At that time, all dogs and cats have a tough time. The loud noise of the fire crackers scares them, and we do everything we can to keep our dogs safe indoors, but many strays run for cover. Hi, Crafty. That could have been a nasty accident! I'm glad your cats weren't injured. Cats certainly like to climb, including mine! Thanks for the visit and the comment. This is such an important topic Alicia! And a job well-done on this Hub. Just the other day, one of my cats climbed the artificial tree and knocked the entire thing over. Leaving sharp edges of broken ornaments laying around on the floor. We quickly cleaned it up before the cats had a chance to step on anything and injure themselves. Hi, Heidi. Two golden retrievers would be a handful, but one that I'd love to have! My last dog was a golden retriever. They're lovely dogs. Thank you very much for the visit. Why I don't decorate for the holidays? Two large active golden retrievers. Thanks for spreading the word on this important topic! Thank you, Maren Morgan M-T. Christmas is a special time of year for my dogs and cats, and the birds enjoy it too. A timely reminder - thanks! I like hearing about all the walks you take on holidays. I do that, too. My cats do like climbing over and on to things, but they've never yet toppled the Christmas tree down! Good luck with your new cat this Christmas, Becky. Thanks for the comment. Enjoyable time for all. My dog loves Christmas also and is fascinated by the tree. The last time I had a cat at Christmas, he climbed the tree and it toppled over. Now we have a young cat and I am wondering if she will be climbing the tree. At least the stand I have now should hold it down. It is a big cast iron one that I got at an antique shop. I hope that your daughter enjoys this hub, Eiddwen! Thanks for another kind comment. Another gem to bookmark and I am handing them over to my daughter then. She finds them so interesting and useful so here's to sharing many more hubs on here. Lovely read - I like the way you get your pets involved in the Festive Season. Thanks for the comment, Time4Travel. Yes, every pet wants to be involved in the special activities! Merry Christmas to you too, kashmir56!! Just want to wish you a very Merry Christmas!!! It's cute how no pet is left out. A perfect pet Christmas! Hi, kashmir56. All the dogs and cats that have been a part of our family over the years have enjoyed Christmas. It's fun to share special events with them! It is so nice to see you share your Christmas with all your pets!